Study MCAT Physics with Lecturio! This course covers the basic descriptions of periodic motion, the definition of a wave, and discusses objects undergoing periodic motion due to Hooke's law (restorative force). Learn what waves are, how they are described, and how we can think about and mathematically describe periodic motion in the context of Hooke's law. Understand the idea of waves and prepare for further lectures on sound and light. Jared Rovny is a graduate student at Yale University and has been preparing students for their MCAT for several years. He knows how to explain even the most complicated theories of physics in an understandable way. 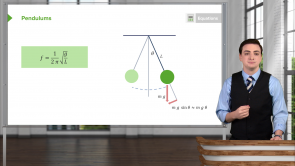 Get ready for your exams with high–yield video lectures, topic reviews and quiz questions. Start studying with Lecturio at home or on the go today! In diagnostic sonography, the so-called Doppler effect is used for the determination of blood flow velocity. This is done by measuring the frequency of the sound reflected by detected blood cells. The sound is reflected by the blood cells. What exactly is sound, which vibration modes exist and how do they react on interfaces—all of this will be addressed in the following article. We never think consciously about motion. How many times have we said something like: "I’m not strong enough to lift it!" or partied so hard we didn’t have enough energy to study for a test? 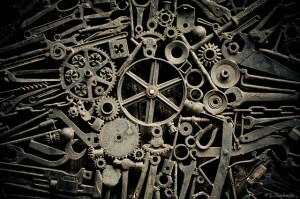 Mechanics Part 1 will help us understand all this from the physical point of view. We will see what can cause, for example, a disc prolapse and to which mechanical loads our bodies are subjected. Here you can proceed to Mechanics Part 2. 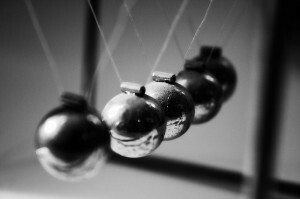 In this article, you will learn more about periodic motion, especially springs and pendulums in order to provide the best exam preparation. Jared Rovny has a strong academic background in Physics research and education, and currently researches modern topics in medical Physics. He has taught a wide variety of physics classes over many years, receiving awards for his teaching and high recommendations from students. Jared has been helping students prepare specifically for the physics on their MCAT exams for over 7 years, and works hard to create clear, visual explanations. He is committed to the importance of education, working with Yale's Center for Teaching and Learning as he continues to research and teach. The lecture itself is good. His pace is slow enough to follow, yet not too slow, and he is extremely clear. Including questions in later lectures would be a great improvement to the course.